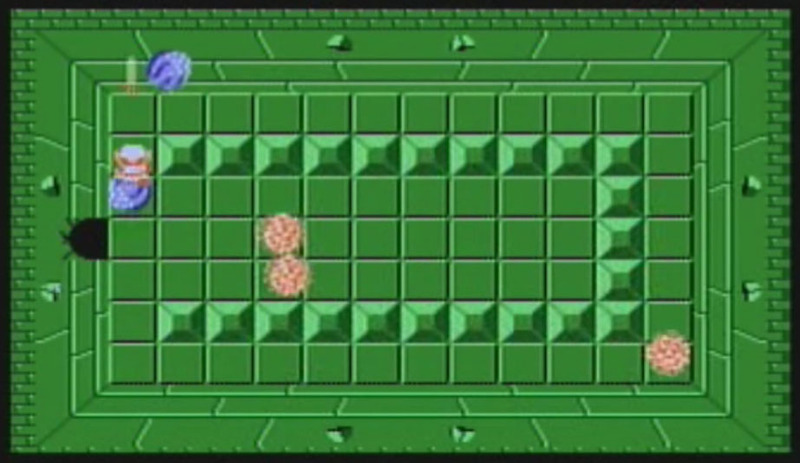 Link`s Blacklist: The Wallmaster from the classic Legend of Zelda! 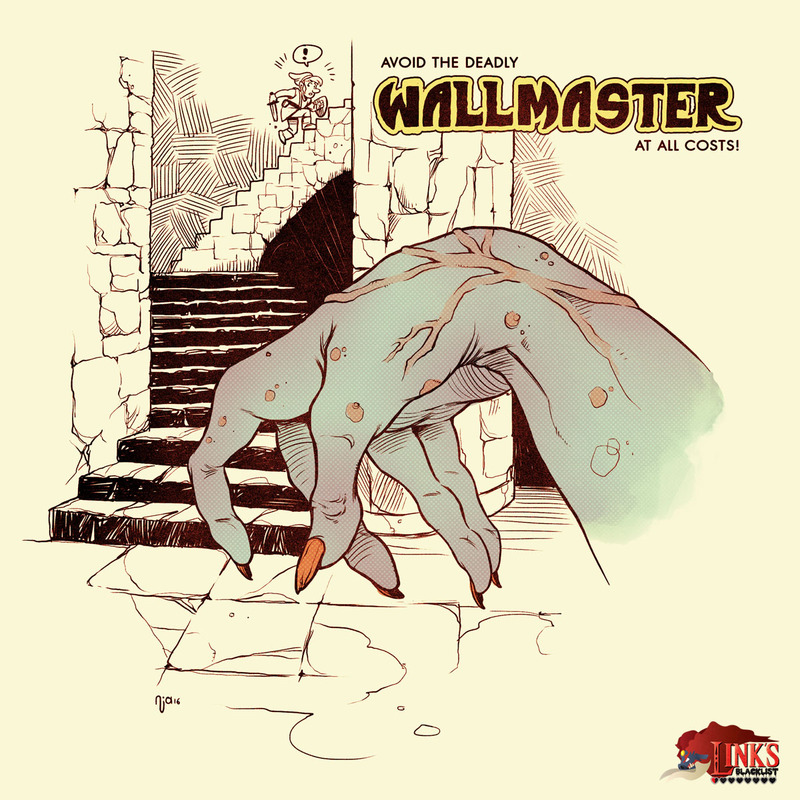 Deimos-Remus drew the sinister looking Wallmaster coming from out of the wall in a style reminiscent of the cover of a young adult horror novel. Does Link realize what’s coming for him? ” I claimed the Wallmaster from the first game in the franchise, as I always thought it was one of the creepiest buggers you could encounter. 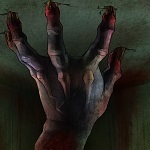 The idea of a large, always looming disembodied hand following the player around the dungeons always keeps you on your toes and adds that much more stress to completing a dungeon. Nathan J. Anderson aka Deimus-Remus from the USA was born in 1992, years after the original Legend of Zelda was released, but while the graphics and game design of it was outdated already, it kept its challenge and charme. So much that Nathan created a whole bestiary of the classic game by his own, basically his own “Link’s Blacklist” but with the difference that he also re-designed the characters, including the protagonists and NPC’s as well. We recommend to visit his Gallery on dA or his own Website to see this great project! 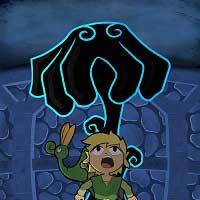 The Wall Master from the original Legend of Zelda is a sinister large hand that comes from out of the dungeon walls, hence it’s namesake. 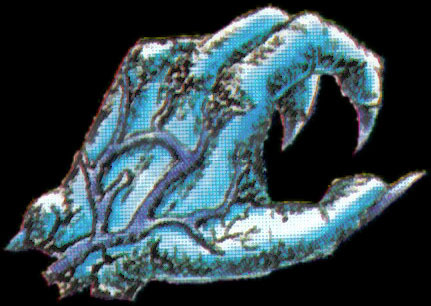 Although they do not directly damage the player, they do grab the player and throw them back to the very beginning of the dungeon. And due to respawning enemies like Darknuts, this could actually make things worse. They are very difficult to kill possessing a large amount of HP. Unless conditions are required to kill them to pass to the next room and you have a fully charged sword to zap them from a distance, it’s best to try to avoid them at all costs.